What do Dr Phil Hammond, apple juice pressing and social prescribing have in common? 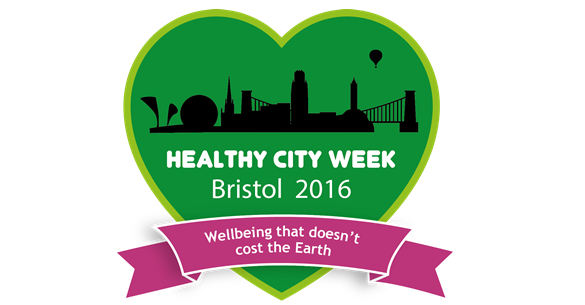 They’re all part of Healthy City Week Bristol 2016. NHS campaigner, broadcaster and comedian Dr Phil Hammond will be giving an evening talk on Wednesday 19th October as part of Healthy City Week Bristol. Professor of Genetics and author Tim Spector will be sharing the latest research on the impact of antibiotics and ideas for getting healthy bugs back where they belong on 22nd October. These speakers join local health leaders including Becky Pollard, Bristol City Council’s Director of Public Health, wellbeing and environmental initiatives, health institutions, charities and independent practitioners who will all be contributing to the packed week of events which runs from 15 to 22 October. The programme for the week includes more than 150 events. Last year’s Healthy City Week showcased 100 events with more than 3,000 attendances from Bristolians, so this year’s looks set to be even bigger and better. Brought to you by Bristol Green Capital Partnership, Healthy City Week is the product of contributions from local organisations and individuals whose events, talks and workshops will explore the links between sustainable living, personal wellbeing and the health of our environment. It is supported by Bristol Health Partners, which brings together all the city’s major health institutions. The programme is online at www.bristolgreencapital.org/healthycityweek so citizens across the city, can start planning what free or low-cost events they will attend. The West of England AHSN will be involved in the Healthy City Week Expo, taking place in the Bristol Heart Institute on Friday 21 October. The Expo will host exhibitions, free talks and workshops aimed at encouraging public, patients and staff on being green and healthy. The Expo will also focus on what Bristol healthcare partners are doing to decrease their environmental impact and raise awareness on the connection between our environment, sustainability, health and wellbeing. Find out more here. The week kicks off on 15 October with a community day at the Wellspring Healthy Living Centre and Barton Hill Settlement, with workshops and activities for the whole family and delicious, sustainably sourced food, while offering health checks and practical advice on health issues, green living and keeping homes warm. This day is a taster of the activities that will then go on tour visiting community centres and hubs across the city during the week. The Healthy City Week Hub will be at 1 St Georges Road, hosted by Triodos Bank. Its programme of talks, debates and seminars aims to bring together the city’s health and sustainability experts to consider a range of issues, including health inequalities and climate change, neighbourhood planning and health, the impact our transport system has on the health of the city and how Bristol could deliver integrated and improved health through a ‘Natural Health Service’. Healthy City Week aims to offer something for everyone, from family focused events at Windmill Hill City Farm to chair yoga for older people at The Park, Knowle. This year’s contributors are putting on a huge range of events including apple juice pressing in Easton, a community feast in Barton Hill, film screenings in Avonmouth, a Fairtrade Gala Dinner in central Bristol and classes at Hamilton House and wellbeing workshops for men in Knowle. Shoppers in Broadmead can pop into The New Room for a lunchtime Qi Gong taster, Alexander Technique session or a CPR marathon and workers around Temple Meads will have the option for lunchtime and after-work activities at the Future Economy Centre and Amarelle Showroom. Talks and seminars from Bristol Community Health CIC and Voscur will offer opportunities to explore approaches to self-care and social prescribing, and businesses can get involved by downloading the ‘Workplace Wellbeing Week’ guide from Nine to Thrive and Go Green and putting on their own events for employees. Dr Trevor Thompson from University of Bristol’s School of Social and Community Medicine, GP at Wellspring Healthy Living Centre and co-chair of Healthy City Week’s steering group, said: “Many of the things we can do to improve our health – to drive less, to eat more vegetables, to enjoy nature, to connect with our local community – also benefit the planet. Healthy City Week throws these links into sharp relief, bringing together many perspectives on health, wellbeing and sustainability: from patients and the public to NHS clinicians, alternative therapy practitioners to the big local health institutions, from voluntary and community groups to scientists and researchers.